PINSTRIPE BOWL: Notre Dame blasts Rutgers 29-16 – The Irish D stepped up and picked off Rutgers four times in this one. Do that and hold onto the ball for almost 40 minutes, and you should win. The one thing I will say is that there were more field goals kicked than either team would have wanted. The Scarlet Knights kicked three field goals so good for Irish to hold them to kicks but the Irish kicked six field goals and made five. With 494 yards, you should score more than 29 points. 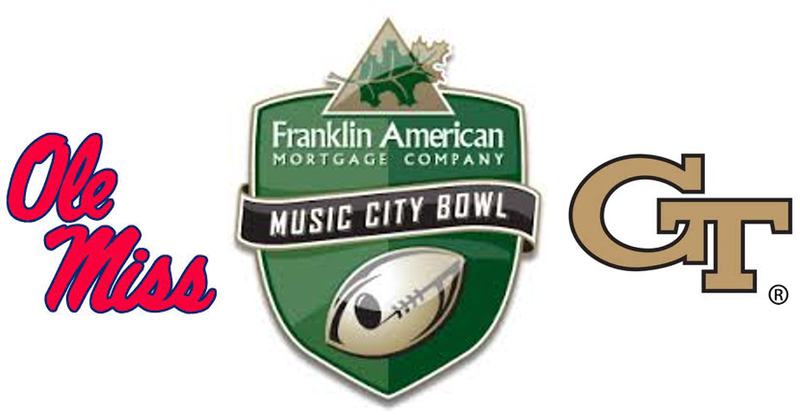 Luckily, Notre Dame faced one of the weaker bowl teams and pulled out the victory. Especially for everyone in the group as we all picked the Irish. BELK BOWL: UNC rocks Cincy 39-17 – The Tar Heels came out and punched the Bearcats in the mouth. After scoring a touchdown, UNC sacks Cincy QB Brandon Kay in the end zone for a safety and then runs the safety punt back for a touchdown. Cincy just couldn’t recover and UNC kept going. They ran another punt back for a touchdown to start the second half. Matty D and Ariel both had the Tar Heels. RUSSELL ATHLETIC BOWL: Louisville dominates Miami 36-9 – Teddy. Bridewater. 447 yards and three touchdowns through the air and 24 yards and touchdown on the ground. I guess the only negative thing you can say about him is that he got sacked for a safety, but he bounced back. He needed to avenge his buddies on the basketball team. The only one not to believe in Teddy and Cardinals was Ariel, the rest of knew better. BUFFALO WILD WINGS BOWL: Kansas State trounces Michigan 31-14 – The final eight points the Wolverines scored were in garbage time way after this game was over. KSU knew the Wolverines didn’t have Devin Gardner nor do they have a run game and took advantage of that. Total Yardage, KSU: 420, Michigan: 261. The turnovers were even at 1 apiece but KSU’s was a pick off of the true freshman. I was the only one to go with the Wildcats. This game has already started. 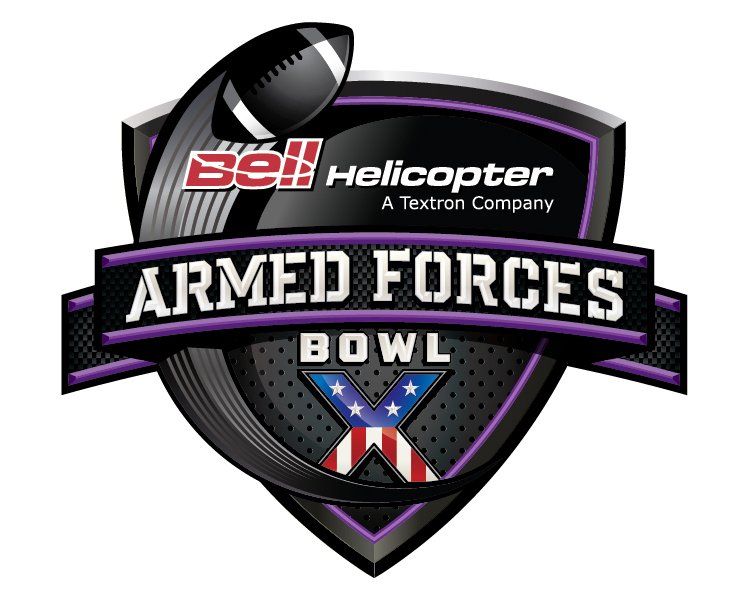 But regardless, this bowl’s logo has to one of the coolest bowl logos out there. So who’s ready for the triple option? The Blue Raiders think they are, but it’ll be tough. Navy’s Keenan Reynolds may as well call his position “Offensive Weapon” instead of Quarterback. He has almost 900 more rushing yards than Navy’s second highest rusher. The Blue Raiders have a talented QB as well in Logan Kilgore, who has tossed for 2,289 yards and 16 touchdowns but has also thrown 11 interceptions. All three of us are going with Reynolds and Navy. Finally the SEC gets into the mix. 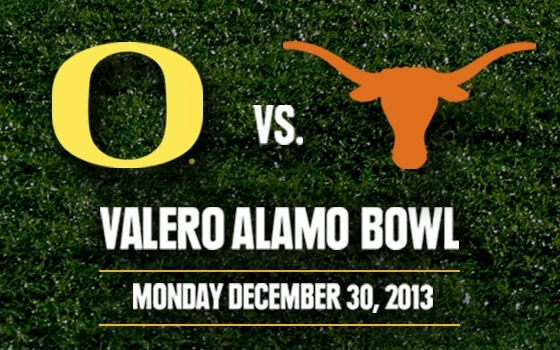 This game will be very, very, offensive. These two teams combine for over 900 yards on average per game. Two different styles of offense however as Ole Miss has a more balanced attack while Georgia Tech ranks 5th in rushing but 121st in passing. In fact, the Yellow Jackets rushed for 311.7 yards per game this year and crazily enough, they only one player with more than 800 yards. Balanced rush attack. The Rebels have a talented QB in Bo Wallace who is looking to break out of a slump where in his last two games, he has thrown four picks and no touchdown passes. Wallace has tossed for over 3,000 yards and has 64.4 completion percentage. All three of us are going the Rebels in this one. Mack Brown’s final game as the head coach at Texas. Too bad he has to face Super-QB Marcus Mariota and Oregon. The Ducks have the second-best offense in the nation averaging 573 yards per game and rank third with 46.8 points per game. The Longhorns have performed well after starting 1-2, but then dropped 2 of their last three to finish 8-4 in which they allowed 68 to Baylor and Oklahoma State. We’ve all been big fans of the Ducks which why we’re all going with Oregon, but it’d be great to see Mack Brown go out with a great win. THIS IS GONNA BE A HIGH-FLYING, HIGH-SCORING GRAND OL’ TIME!!! 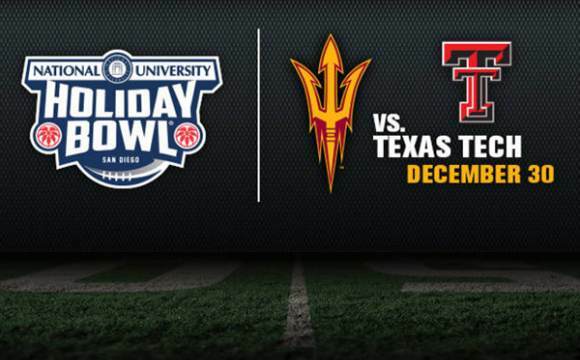 ASU has the 30th ranked offense, Texas Tech has the 10th. Texas Tech ranks 27th in scoring, ASU ranks 9th. Texas Tech started off this season red hot but they unravelled after a 38-30 loss to Oklahoma. After the season, quarterback and Big 12 Offensive Freshman of the Year Baker Mayfield decided to transfer. The Raiders will look to either Davis Webb or Michael Brewer to lead their offense. Webb tossed for 2315 yards, 16 touchdowns, and nine picks this season. ASU’s Taylor Kelly has had a phenomenal season, tossing for 3510 yards, 28 touchdowns while RB Marion Grace ran for nearly 1,000 yards and 14 touchdowns. Once again, all three of us are picking for the same school: Arizona State. Quick Shoutout to Dan’s Sports Report, a Boston-based blog with some great insight into New England sports. Definitely go check it out, it’s a great read.